Alchemy Development / Robert Hancock & Co.
Alchemy Development (the property development arm of Robert Hancock & Co) tasked RDQLUS with developing a top-to-tails brand of dwelling with a motif of elevated, purposefully aspirational living. The point was never that you will live here forever, but more so that this is your introduction to the good life. The growing neighborhood around Aksarben Village had grown in size but not in attraction. Most apartments were more spartan in look & feel The rash of what was deemed "apartment beige" was everywhere as there were no distinctive properties that stood out as particularly special—all just a place to store your stuff and lay your head. 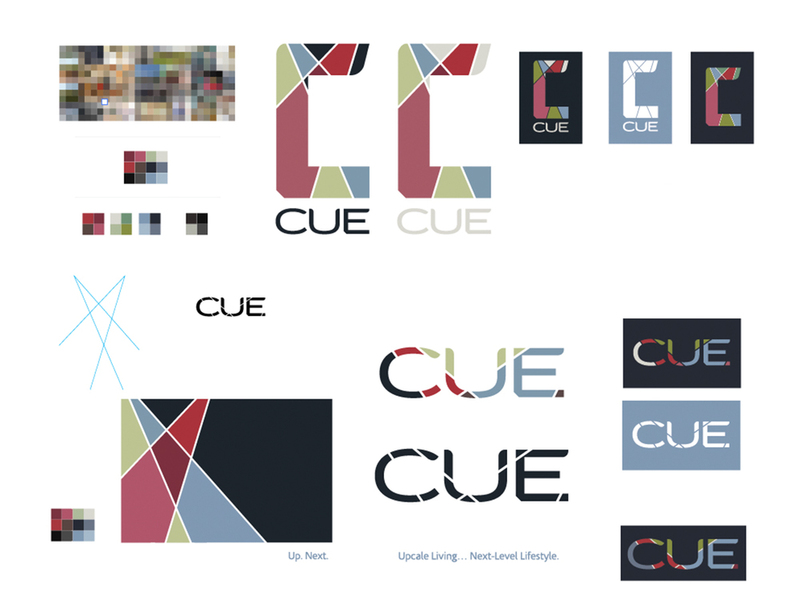 RDQLUS was chosen to build this brand because we don't… do… beige! 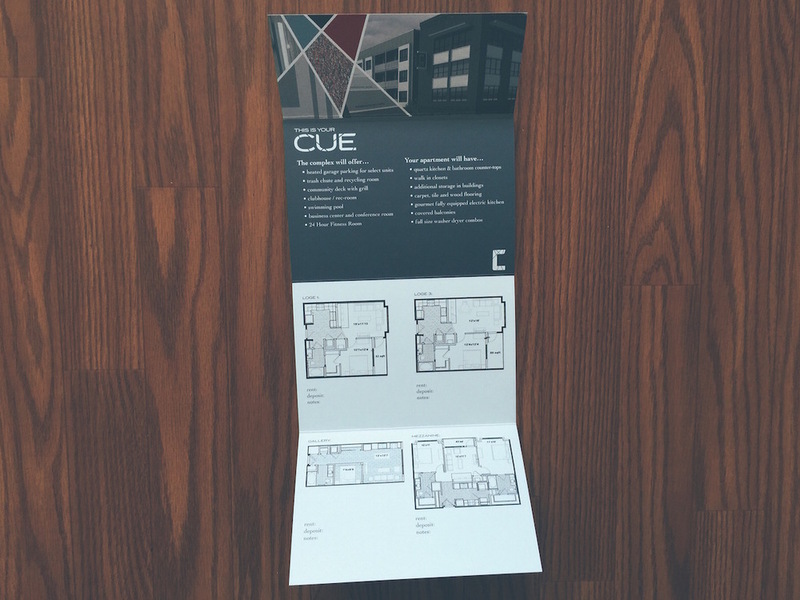 This is one of the most ambitious brands RDQLUS CREATIVE has ever built; the brand identity of CUE Apartments. 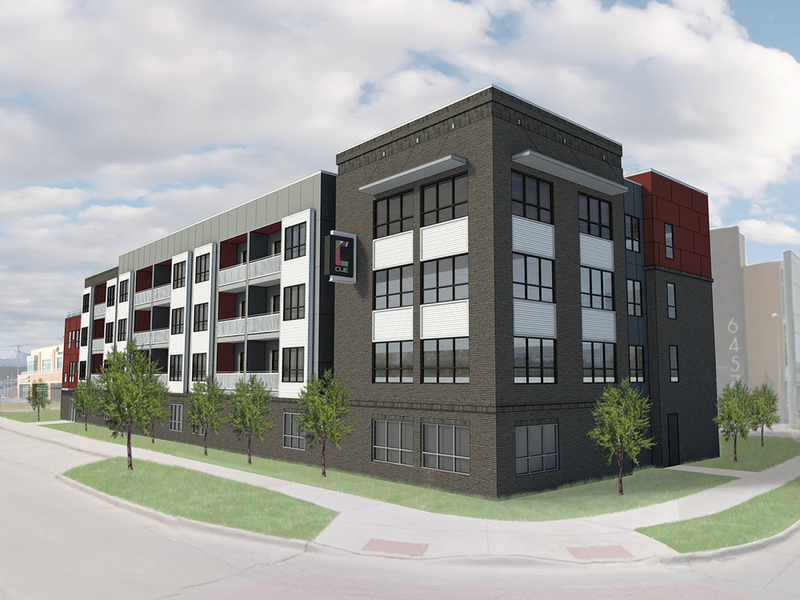 Alchemy Development approached RDQLUS with the mindset and goal of escaping the dreaded "apartment beige" approach to branding and marketing apartments in the Midwest. The ask was for excitement, a strong motif that could be carried throughout the property and a desire to attract residents who wished to have more of an experience with their living environment rather than just a place to stash their stuff. They were referred to RDQLUS for that kind of vibe, and that's where things got good. This was a comprehensive brand architecture build from the ground up—literally and figuratively. Long before breaking ground, a name and brand story were needed. The idea behind the brand was elevated apartment living for people who would be more prone to call their apartment a "flat" or "condo." That idea became tied to the thought of aspiration, class and nightlife in the urban setting. The theater has all of that. Additionally, using that motif, the major players waiting in the wings for their turn to shine are waiting for their… (go ahead, say it with me) cue. The name was born, and the taglines and verbiage almost wrote themselves; "You're Up Next" and "This is Your CUE." From there things began to roll. The logo & identity system were next; the "Diamond C" is a hand-crafted block capital cut into facets using the angle of two spotlights crossing—a subtle continuance of the overall motif. The color story is regal and rich, flooded into more than just the brand colors & printed materials, colors but also the facade & interior physical building materials. Top-to-tails, RDQLUS crafted a full-bodied experience—unit signage, lighting, materials, floorpan naming—all woven together with the motif and vibe of the elevated slice of lifestyle found in a night at the theater—right down to the leasing brochure fashioned as an invitation to live there. You're up next!